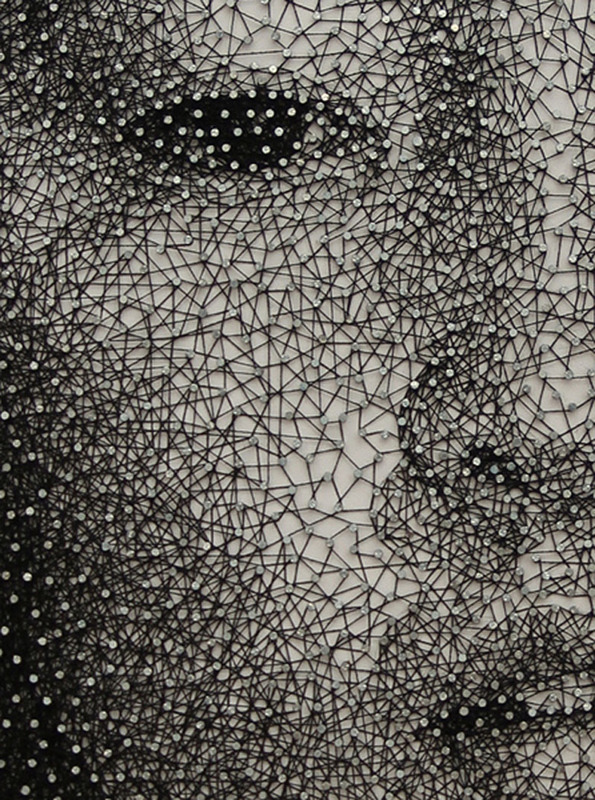 If It's Hip, It's Here (Archives): Portraits Made With A Single Unbroken Black Thread Wrapped Around Nails. 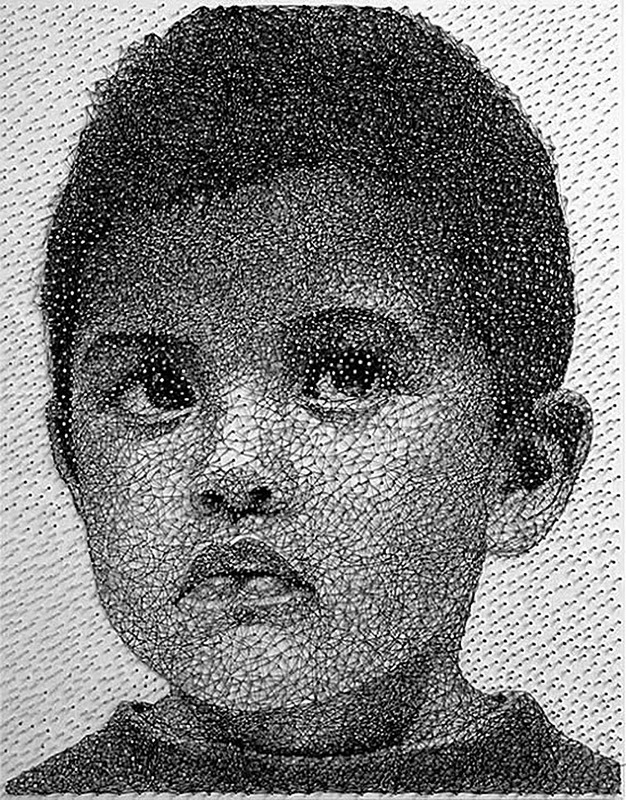 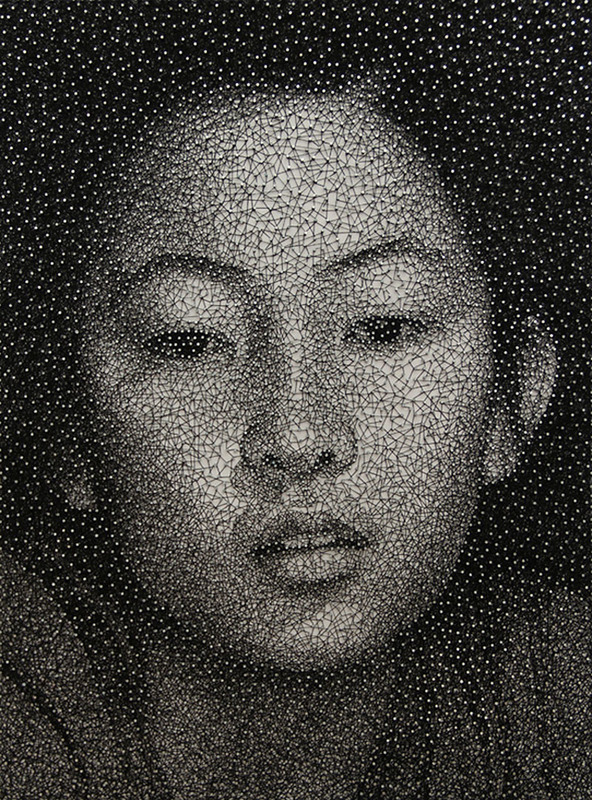 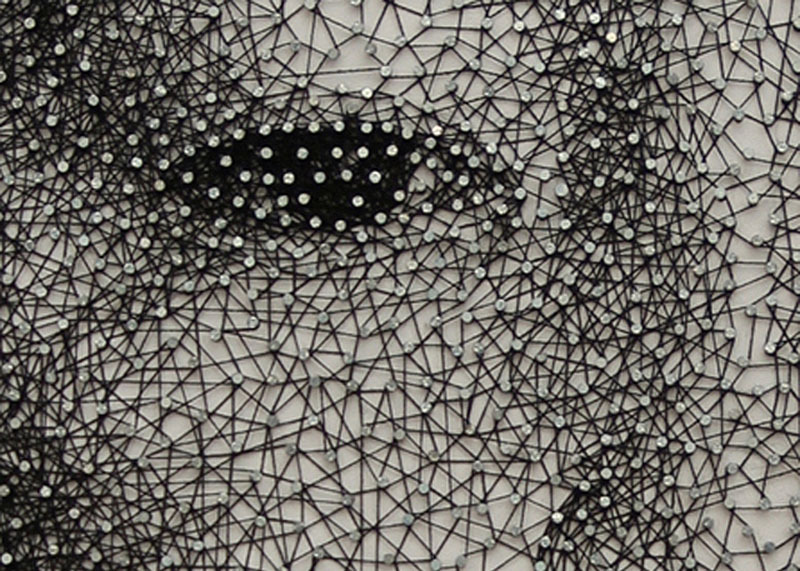 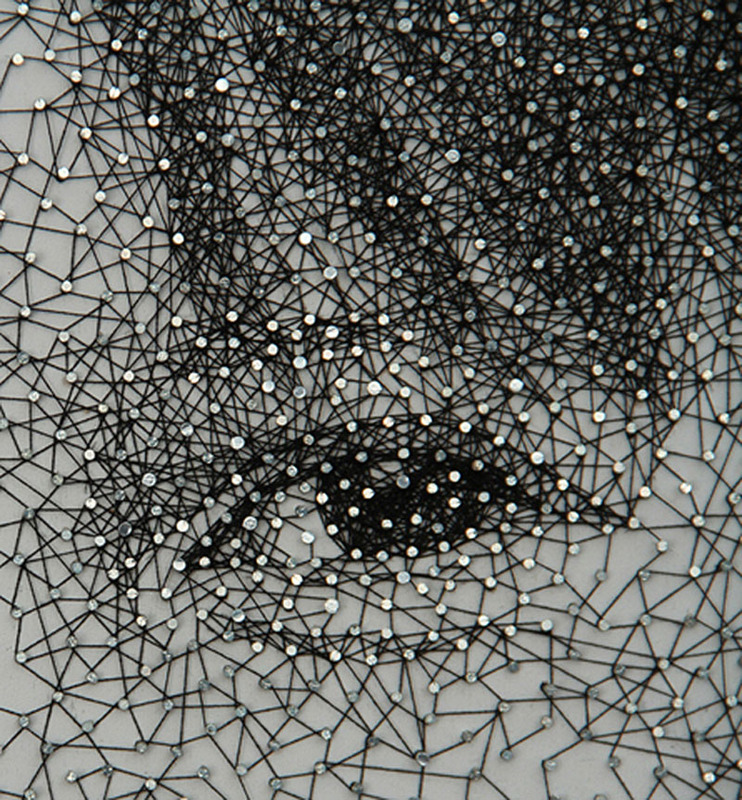 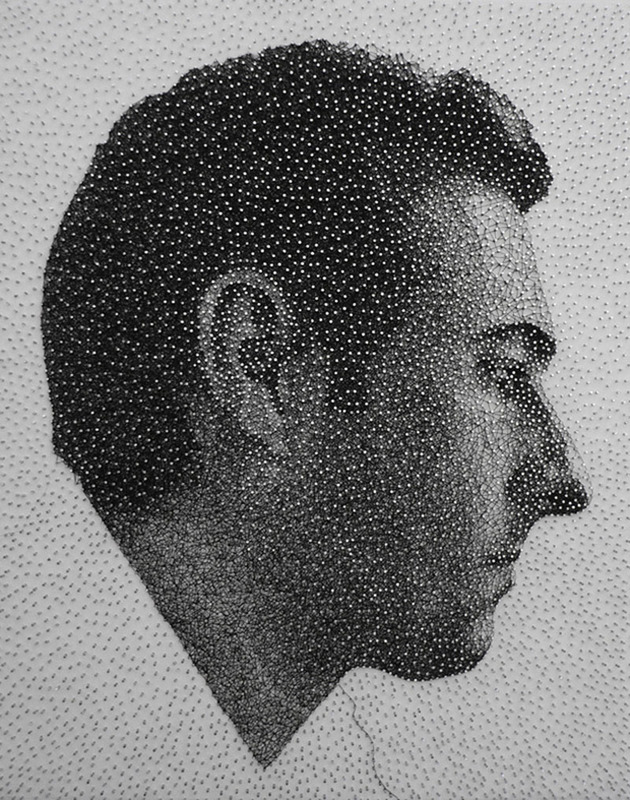 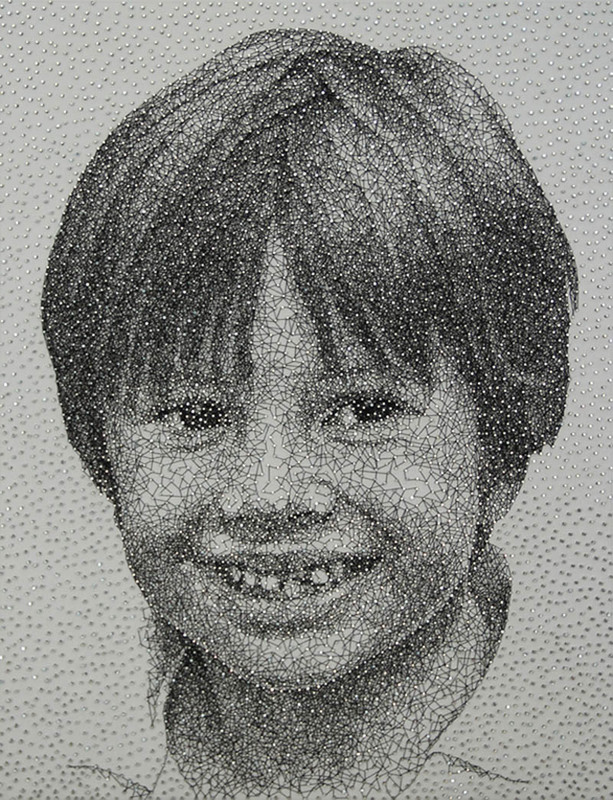 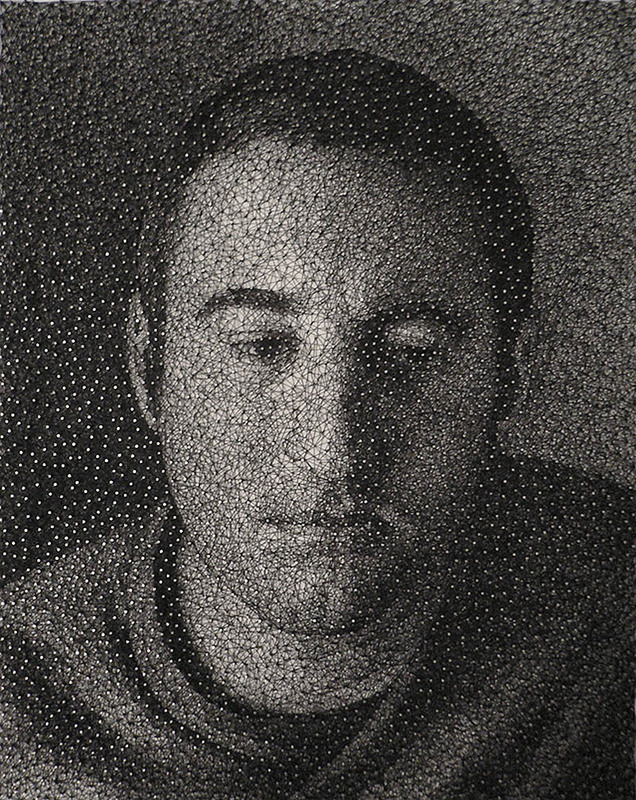 Portraits Made With A Single Unbroken Black Thread Wrapped Around Nails. 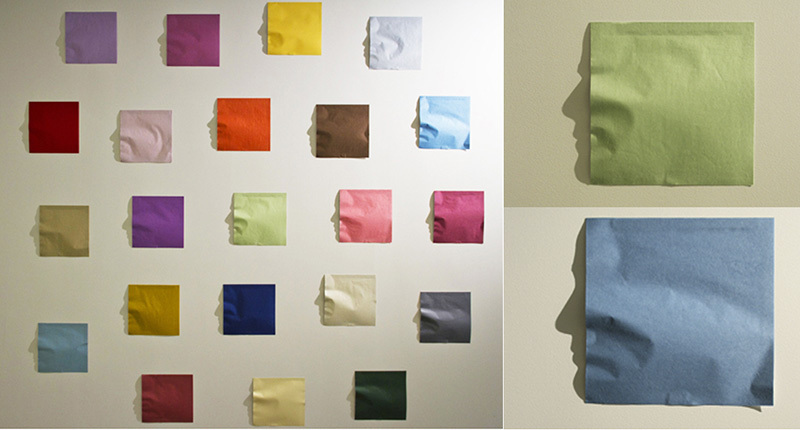 Japanese artist Kumi Yamashita, who now lives and works in New York, has been featured on several design sites for her amazing Origami Light and Shadow project (shown below) in which Japanese paper and creased and mounted on the wall to give off a shadow that emulates a human face profile. 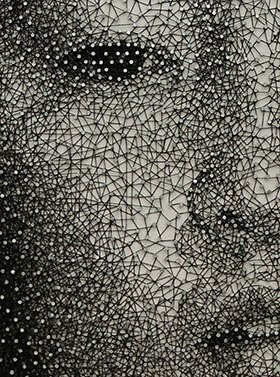 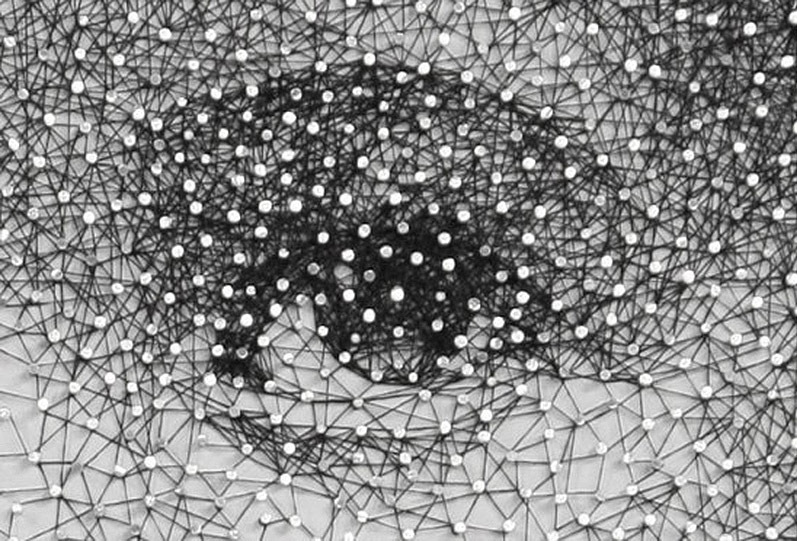 Lesser known, but equally as impressive, is her ongoing Constellation series: portraits made by winding a single UNBROKEN black thread around nails hammered into a board to create the uncanny likeness of a face. 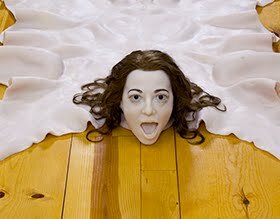 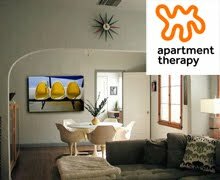 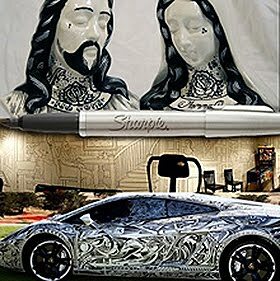 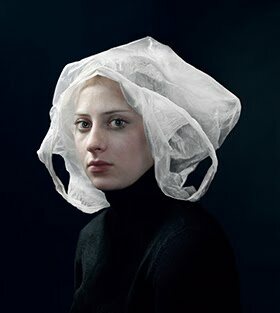 See more of her work here at her website.